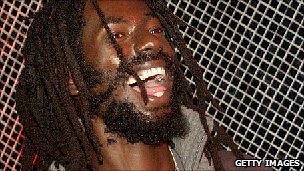 Reggae star Buju Banton has been granted bail by an immigration court in Florida while he awaits a retrial on drug charges. The Jamaican was released from jail after Bob Marley’s son, Stephen, put up his own $300,000 (£186,000) home as collateral. This entry was posted on Thursday, November 11th, 2010 at 8:19 pm	and is filed under Breaking Headlines, Reggae Music. You can follow any responses to this entry through the RSS 2.0 feed. You can skip to the end and leave a response. Pinging is currently not allowed.